Featuring: John Sheehan & Barney McKenna of The Dubliners, Frances Black, Finbar Furey, Na Casaidigh, Lad Lane, Aoife Scott, The Bonnymen, Alainn, Peter Browne, Michelle O Brien and friends, Eamonn Galldubh, plus special guests. 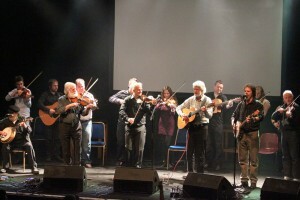 The Traditional, Irish, and Folk music community are rallying together to give an unique fundraising concert for Sergio O’Connor. Dublin born Sergio O’Connor is a 9 month old twin boy who was born with an incomplete oesophagus. 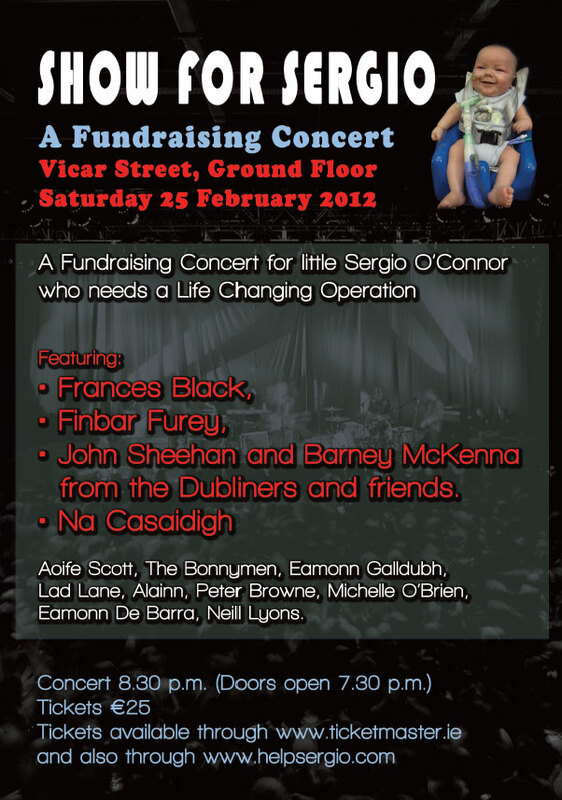 Donal O’Connor, Sergio’s father comes from a well known Dublin family of traditional musicians and many of their friends and stars of Irish music have offered to perform at Show For Sergio to help him and his family when they go to Boston where surgeons can perform a life changing operation.